Don your best moustache and find yourself a red hat because today you will go by Mario! This indoor centre will have you flying around the track like you’re in the mushroom cup and Luigi is on your tail. No need to worry about dodging bananas because the only thing on this course is cold, hard competition. Bring all your mates along because this is going to be a ride to remember. 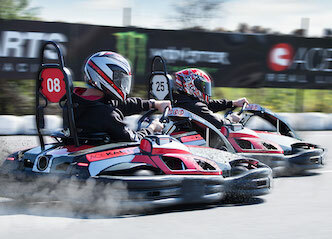 You’ll be kitted out with a racing suit and helmet (partly for your own safety and partly because it’ll make you feel like a real-deal formula one driver) and given the keys to a sweet ride that we like to call a Twin Engine Pro Kart. We’re not your ex-girlfriend so we’re not going to ask you to take things slow. When you hit the track, we expect you to take it hard and fast – no wimps allowed. This might be one of the few Wicked Buck’s activities where sobriety is required during the race but don’t think you won’t be able to refuel at all. To celebrate that inevitable win, you’ll be showered in a BBQ spread and ice cold beers. With all the adrenaline in the air trackside, you’ll be pumped up and ready for the night to follow. If you’ve always had a need for speed, this may be one of your only (legal) opportunities to experience a day in the life of a Hollywood style driver – Without the paparazzi following your or the pressure of being broadcast on international television. Are you sick of the missus whining about your “unhealthy” relationship with the xbox? No need to restrict your Grand Theft Auto behaviours to the virtual world today, this is the real day! You won’t even need to take the bins out first!! Go-Karting is great for groups of any size. If you’ve brought half the community along, you can book out an entire track. If it’s a more intimate affair, you might have some extra competition from the locals to step it up a notch. Either option is a win! Being an indoor track means this is one activity that can go ahead rain, hail or shine! This is your opportunity to channel all your inner road rage. No need to continue slapping the steering wheel, swearing under your breath or relentlessly honking. Use all this built up frustration from the streets of back home to take home a sweet victory. This classic Bucks Party in Adelaide is the ultimate package for the adrenaline-seeking party animal! 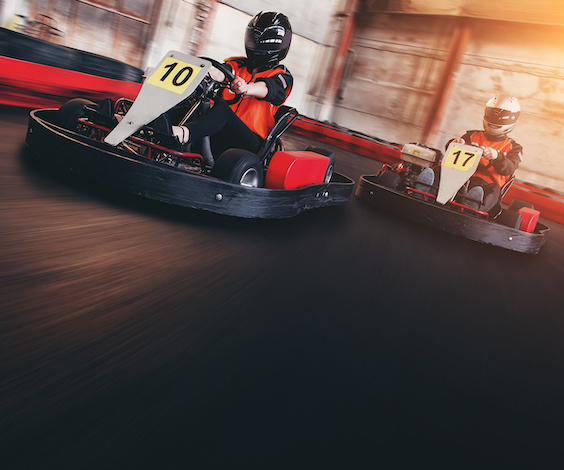 Begin your weekend by hitting the track and battling it out with your mates with the ultimate Go Kart challenge, then continue on to enjoy a two-course dinner at Wicked’s favorite Adelaide restaurant. Looking for a big night out? We have got it all sorted for you, with entry in to the town’s best nightclub, and of course, we have organised a VIP booth and private bottle service for you to send off the Buck in style! This full-on party package is the best we have to offer for those ready for a weekend guaranteed not to disappoint the buck! Start the party with a full day brewery tour visiting some of the city’s best venues, and get the opportunity to see how your favorite brew is made. Then continue on to one of the best local sports bars for a two-course dinner that we have scouted out for you to enjoy. Finish off day one of the weekend with VIP entrance to the biggest nightclub in town! Not enough for you? Well luckily, we have a second day planned! Kick off day two with some Go Kart laps for you to prove who’s the undisputed king of the track, before heading out for another delicious dinner we have organised for you. But we have saved the best for last - finish off the weekend with a tradition that should never be forgotten, and enjoy an exclusive visit to the gentleman’s club! Adelaide is known by many as the 30-minute city. Don’t think this means you’ll be bored within your first half an hour of arriving because it is really quite the opposite. Instead, almost everything you could want is no more than a 30 minute drive away. The city streets are almost lego like. They’re all laid out in a grid so it’s almost impossible to get lost. The most iconic block on this Sim-City-like land is the Central Market. Established in 1869, you’ll find everything you’ve ever dreamt of owning (and everything you never knew you were dreaming of). On a Saturday afternoon, everything is less then $1, so it’s a bit of a no-brainer! For something not quite so PG-Rated, you’ll also find a plethora of nightlife and dining options. Oh, and don’t even get us started on the wineries because we could go on for hours. South Australia is home to more vineyards than you can poke a stick at. It would be rude to visit the Southern State without sipping your way through the grape yards – especially when there is a dedicated UberVINO to get you home at the end of it. Vineyards are the only green areas of Adelaide. You’ll also stumble across enough hiking, kayaking and swimming options to keep even David Attenborough entertained.